I had been using Aloe Veda Cleansing Milk for a long time to remove my makeup but I had to reach for facial wipes to remove the waterproof one. Recently I got introduced to a very nice smelling and effective cleansing milk from Vedic Line. 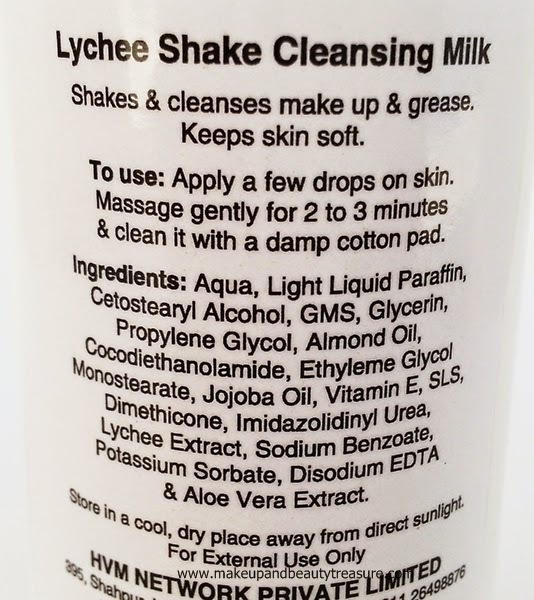 Read my review to know more about Vedic Line Lychee Shake Cleansing Milk. Vedic Line Lychee Shake Cleansing Milk comes in a sturdy, clear plastic bottle with a white flip top lid. The packaging is simple yet soothing to the eyes. The lid is quite tight and the bottle can be securely carried around in a bag without any fear of leakage or spillage. The cleansing milk is white in color with a prominent smell of lychee which is very nice and yummy. The scent is refreshing and reminds me of lychee milk shake. The texture of the cleansing milk is soft and smooth with good consistency. The cleansing milk is neither very thick nor very runny. I simply pour generous amount of cleansing milk onto my palm and massage it gently on my face and neck in circular motions. It spreads easily across my face and I do not need to work hard on it. It is non foaming cleansing milk. It does not give tingling sensation which I really like. Leave it on for 3 minutes for the cleansing milk to work. I then take a damp cotton wool and wipe it off. Although it does not leave greasy residue behind but I rinse it off with water anyway just to ensure that my skin is super clean. My skin feels very soft, smooth, clean and radiant after using this. The cleansing milk removes all dirt, oil and grime off my skin. 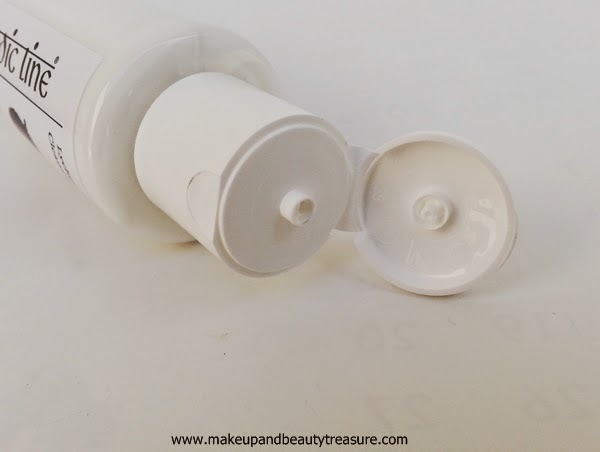 It removes every speck of waterproof and non waterproof makeup effectively. I could not see any speck of makeup whilst applying toner. I do not use cleansing milk on my eyes so could not speak of the experience with it. It does not dry out my skin and I do not feel the immediate urge to moisturize it. It does not cause any adverse effects and feels gentle on the skin. I am totally in love with this cleansing milk! • Makes skin super soft, smooth and clean. • Removes waterproof makeup effectively. 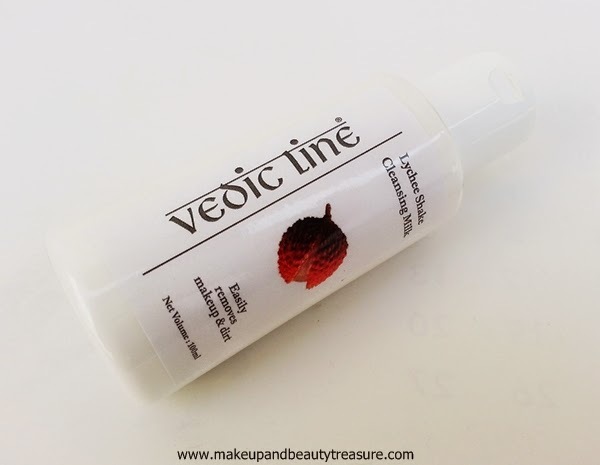 Vedic Line Lychee Shake Cleansing Milk is great cleansing milk that removes all traces of makeup and dirt off the skin. It spreads easily across my skin and smells yummy. It removes all specks of makeup, oil and dirt off the skin without leaving residue behind. I love the healthy glow it gives to my skin after usage. I would HIGHLY recommend it to everyone! 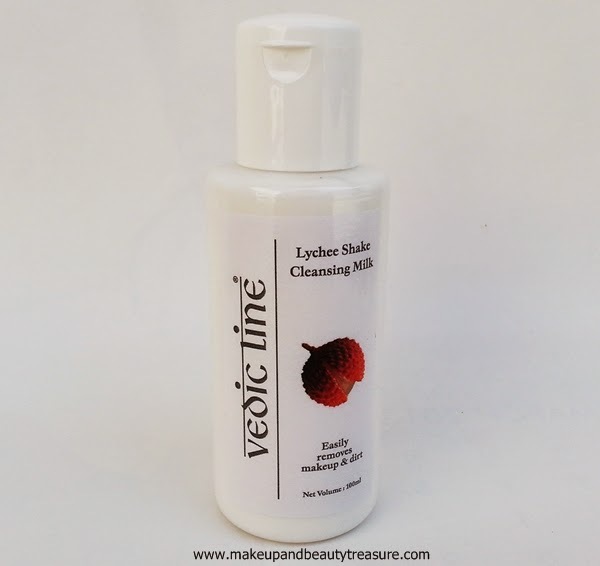 Have you tried Vedic Line Lychee Shake Cleansing Milk? How was your experience? How do you remove your makeup? Share in the comments section below! This kind of urea is safe when used in particular concentration!! !